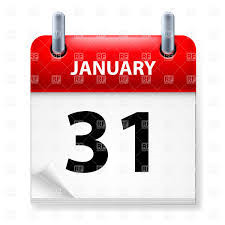 The January 31st deadline only applies to Form 1099-MISC with an amount in box 7, Nonemployee Compensation. The filing due date for other Forms 1099 & 1096 remains February 28th, 2019 if filing by paper, and April 1st, 2019 if filed electronically. 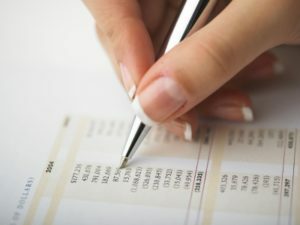 The IRS has postponed various tax deadlines for individuals and businesses in Florida, Georgia, Puerto Rico and the U.S. Virgin Islands, as well as in parts of Texas. They will have until Jan. 31, 2018 to file and pay the affected returns and taxes. The new deadline applies to business extensions that ran out Sept. 15 and quarterly estimated tax payments due Sept. 15 and Jan. 16, 2018. Quarterly payroll and excise tax returns due on Oct. 31, as well as 2016 calendar-year tax-exempt organization extensions due Nov. 15 are also included. If you requested a six-month extension to file your 2013 income tax return, you face a major deadline on October 15. That’s the final date for filing your 2013 return; the IRS generally does not give filing extensions beyond that date. September 15 is an important tax filing deadline for partnerships and corporations. It’s the filing deadline for 2013 tax returns for calendar-year corporations that received an automatic extension of the March 17 filing deadline. It’s also the filing deadline for 2013 partnership tax returns that received an extension of the April 15 filing deadline. If you need assistance, contact our office. If you have assets in a foreign account and the total value exceeded $10,000 at any time, you must file the “Foreign Bank Account Report” (commonly called FBAR) by June 28, 2013. The FBAR is an annual information form, filed separately from your federal income tax return. The 2012 FBAR must be received by the Treasury Department by the deadline, not just postmarked by that date. No filing extension is available, and penalties for failing to file are steep. You may choose to file electronically. For details or filing assistance, please contact our office. * The “No Budget, No Pay Act of 2013,” signed into law on February 4, suspends the federal debt limit through May 18. * The “No Budget, No Pay Act of 2013” gives members of Congress until April 15 to pass a budget, or their pay will be suspended. * The March 1 filing deadline for farmers and fishermen has been extended to April 15 due to the late start in this year’s filing season. * March 15 is the deadline for calendar-year corporations to file their 2012 tax returns. * March 15 is the deadline for corporations to elect S corporation status for 2013. * The IRS reminds those who split the tax payment on a 2010 Roth conversion that the second half is due on 2012 tax returns. * Now that estate and gift tax rules have become “permanent,” you should review your estate plan for any necessary adjustments. * The IRS announced the inflation-adjusted alternative minimum tax exemption for 2013: $51,900 for singles and $80,800 for couples. * Itemized deductions for 2013 will be limited if your adjusted gross income exceeds $250,000 (singles) or $300,000 (couples). * Check for carryover items from prior years that could reduce your 2012 taxes — such as excess capital losses and gifts to charity. * Your top tax rate in 2013 will be 39.6% if your taxable income exceeds $400,000 ($450,000 for married couples). * You’ll pay 20% on long-term capital gains in 2013 if your taxable income exceeds $400,000 for singles or $450,000 for couples. * If you turned 70½ last year and didn’t take your first required distribution from your IRA, you must take it by April 1, 2013. The IRS had to delay the start of this year’s tax filing season until it completed programming changes made necessary by the late passage of the “American Taxpayer Relief Act of 2012” (signed into law on January 2, 2013). To qualify as a farmer or fisherman for 2012, at least two-thirds of the taxpayer’s gross income for 2011 or 2012 must have come from farming or fishing. * February 28 is the deadline for payers to file information returns, such as 1099s, with the IRS. Electronic filers have until April 1. * February 28 is the deadline for employers to send 2012 W-2 copies to the Social Security Admin. Electronic filers have until April 1. * IRS extends March 1 filing deadline for farmers and fishermen to April 15. * IRS offers simplified method for taking a home-office deduction. * Recent report says Congress has made almost 5,000 changes to the tax law since 2001. * The tax code contains nearly four million words. Time to simplify? * Late passage of “American Taxpayer Relief Act of 2012” will delay this year’s tax filing season. * IRS may not be ready to process certain 2012 tax returns until late February or March. * The maximum you can put in a health flexible spending account (FSA) this year is $2,500. * The 7.5% income threshold for deducting unreimbursed medical expenses in 2013 increases to 10% for those under age 65. * The 2013 social security tax rate on wages and self-employment income is 6.2%, up from last year’s rate of 4.2%.